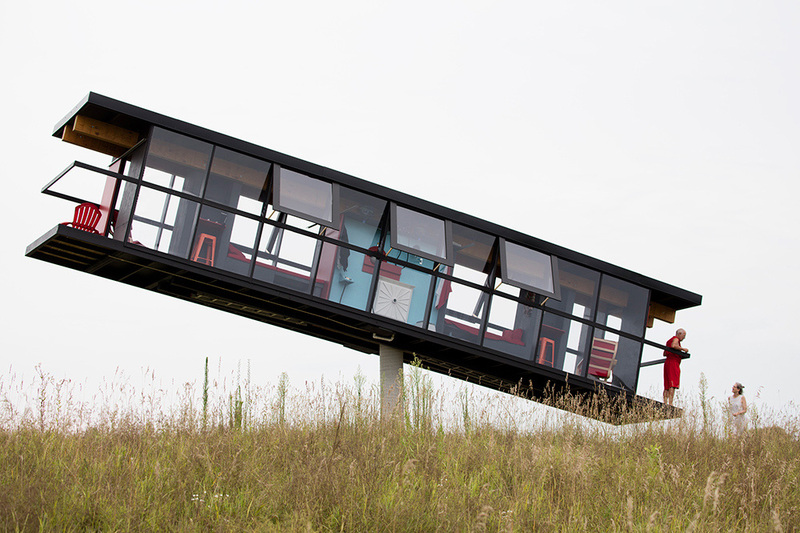 Off-kilter balancing buildings that seem to defy gravity are more common than you might think, but most of them don’t tilt like a see-saw when their occupants walk from one side of the house to the other. The ReActor is definitely one-of-a-kind, and not just because it stands on a single concrete pillar that seems far too skinny to actually support the weight of the structure. 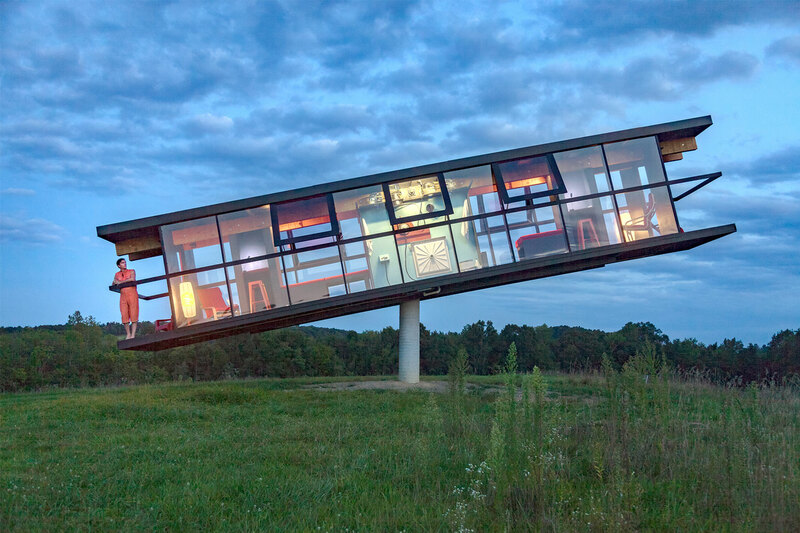 With almost all of its walls made of glass, this tilting house put its creators’ lives on display as they carried out an experimental performance on the grounds of an art gallery in upstate New York. 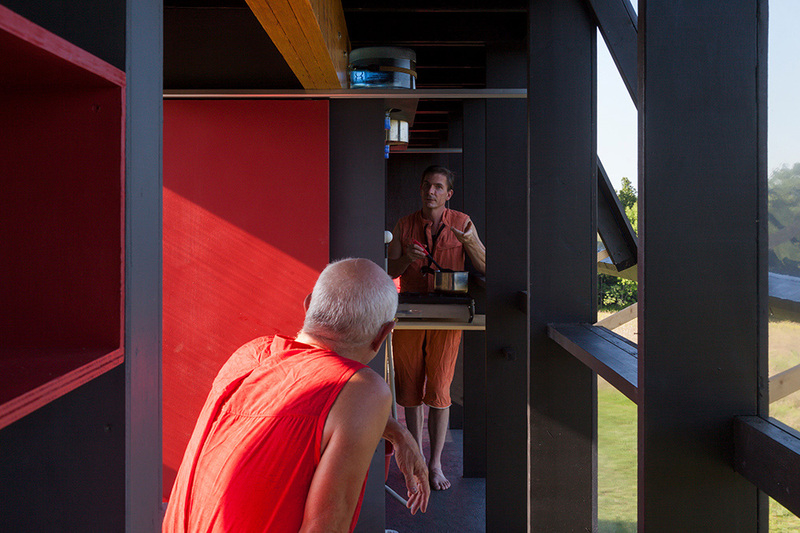 Alex Schweder and Ward Shelley, who have been creating art together since 2007, had to negotiate with each other for virtually very task they completed in the house throughout their stay. If one of them needed to cook, the other better not wander over to one side of the home, or the entire building would swing toward the ground, throwing everything off-balance. But not every movement that affects the ReActor House can be predicted. It sways in the wind, too, rotating to change the view whether the duo likes it or not. Guess neither one of these artists gets seasick. 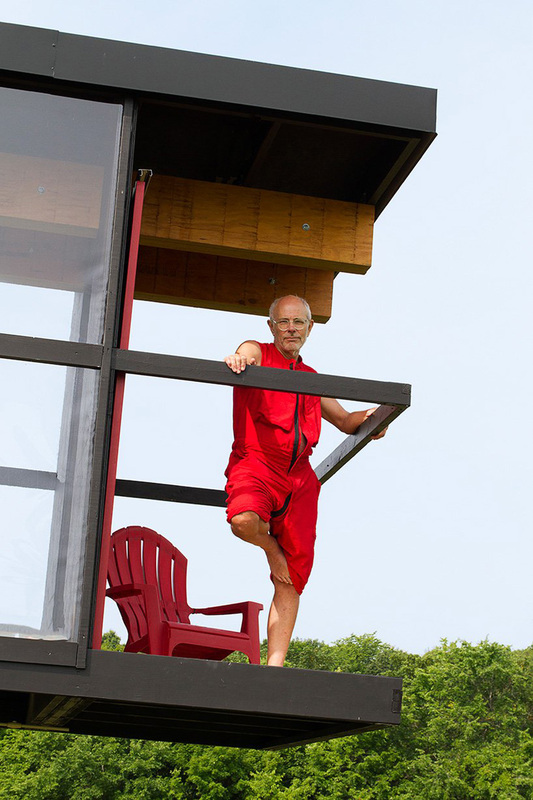 Living in an enormous weather vane modeled after midcentury architectural wonders like Philip Johnson’s Glass House may not be for everyone, but Schweder + Shelley are clearly up to the task, considering their past projects together have included living on a human-sized rotating hamster wheel for ten days. The ReActor House was installed in 2016 and remained on the grounds of the Art Omi sculpture park in Ghent, New York for a full two years. The 420-foot-long, 8-food wide elevated house was just now taken down in summer 2018.